e[X]periences | Events • Food • Tech • Travel: Catch Malaysia in a Talent Frenzy. Audition online at bit.ly/2m2fame ! Catch Malaysia in a Talent Frenzy. Audition online at bit.ly/2m2fame ! A new event is coming to town, and it's big! 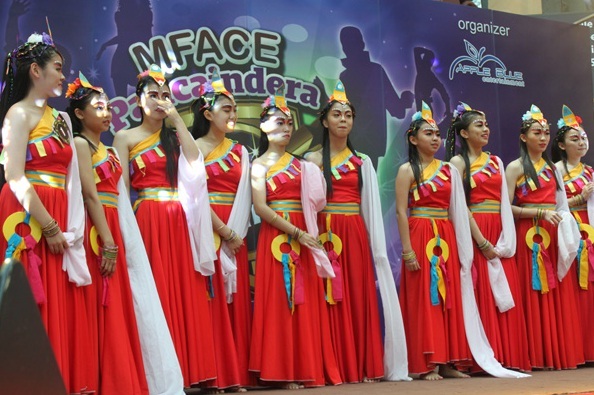 mFace is scouring the country in search of the next BIG THING. Tens of thousands of Malaysian hopefuls from across the nation are dreaming of stardom. You can sing, dance, juggle, or joke, it doesn't matter! All it takes is #2mins2fame, thanks to mFace. 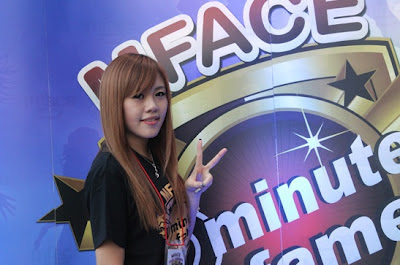 mFace 2 Minutes 2 Fame~! 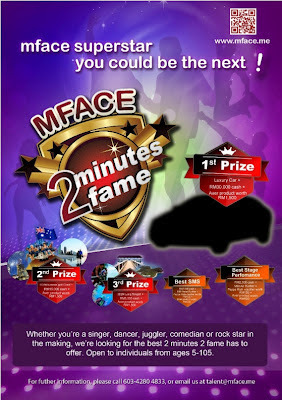 The mFace #2mins2fame talent show is giving you the opportunity to aspiring superstars an easy way to audition online. Just get on to bit.ly/2m2fame and record the best 2 minutes of your life and take a shot at fame. Check out the videos of the previous champions and their awesome winning moments for all to see. It's pretty cool to see them perform. Don’t you just ache to be there? mFace is also looking for talent who may not think of auditioning. Recommend the mFace #2mins2fame Talent Show to family and friends or anyone who thinks they could be the next BIG THING. While the mFace #2mins2fame talent show is opening up an avenue of possibility for Malaysian talent, it would be the Malaysian public that eventually determines who will advance to the next round of competition and who will go home. 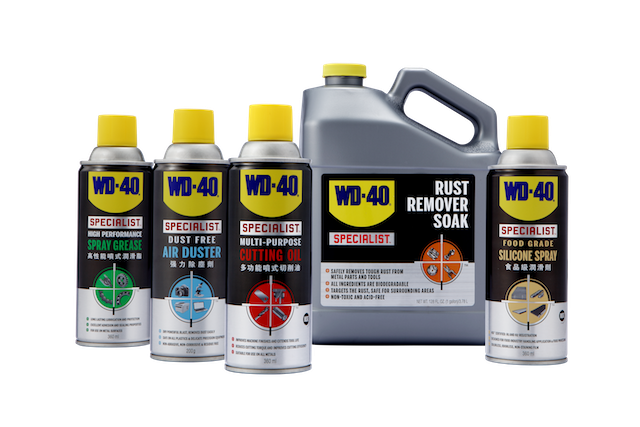 Make your mark in the industry and become a household name. Video auditions for mFace #2mins2fame talent show are now open! If you have talent, it's time to show it. Log on to bit.ly/2m2fame to record your audition.